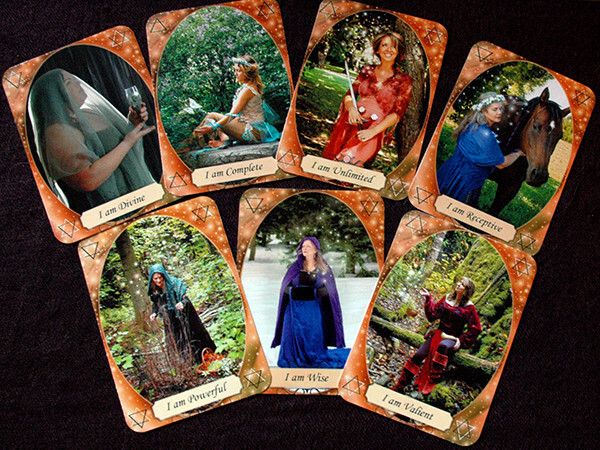 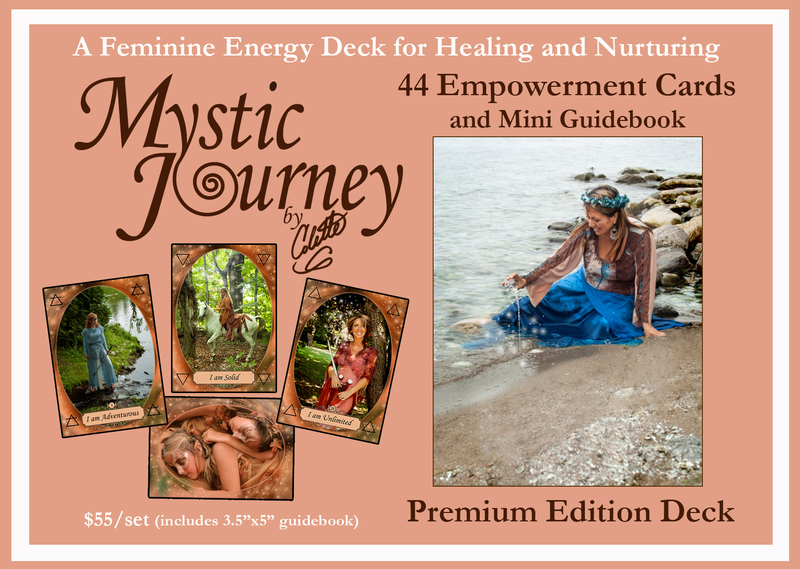 The new Mystic Journey deck is a reflection of the divine feminine through the 4 suits: Maiden, Warrior, Mother, and Crone which are paired up with the 4 elements of Air, Fire, Water, and Earth and includes a companion size guidebook. 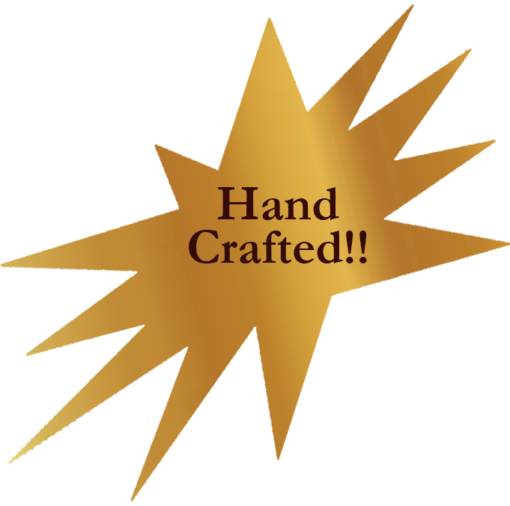 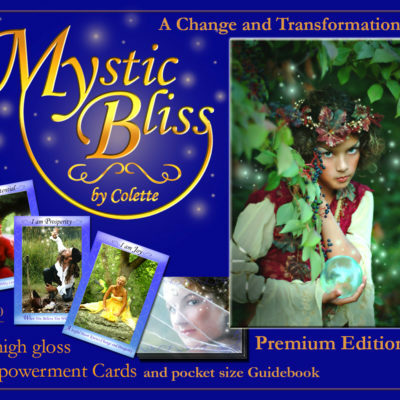 Before being empowered there may be a need to heal old patterns and nurture aspects of yourself that have been neglected. 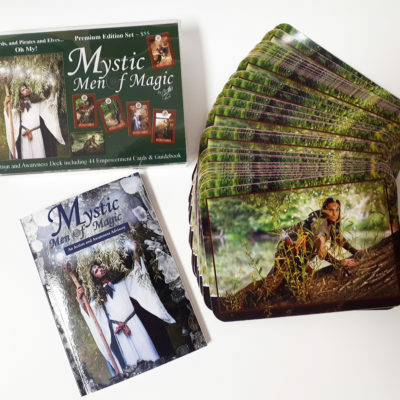 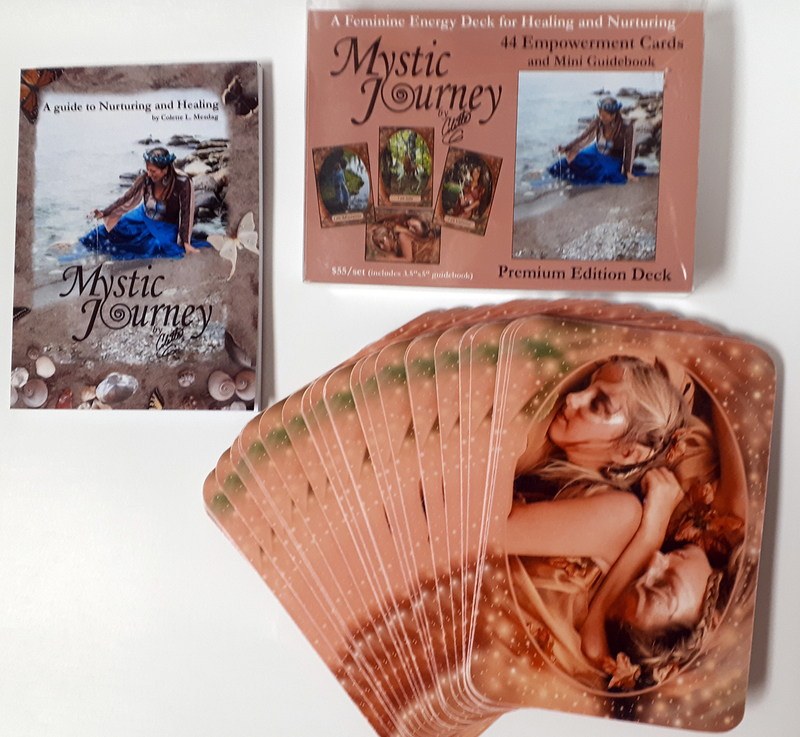 The Mystic Journey deck is a reflection of the divine feminine through the 4 suits: Maiden, Warrior, Mother, and Crone which are paired up with the 4 elements of Air, Fire, Water, and Earth and include a mini guidebook. This is second deck in the Mystic Empowerment Card series completed by Colette and is a reflection of the journey she experienced during her own experiences. 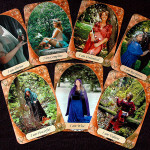 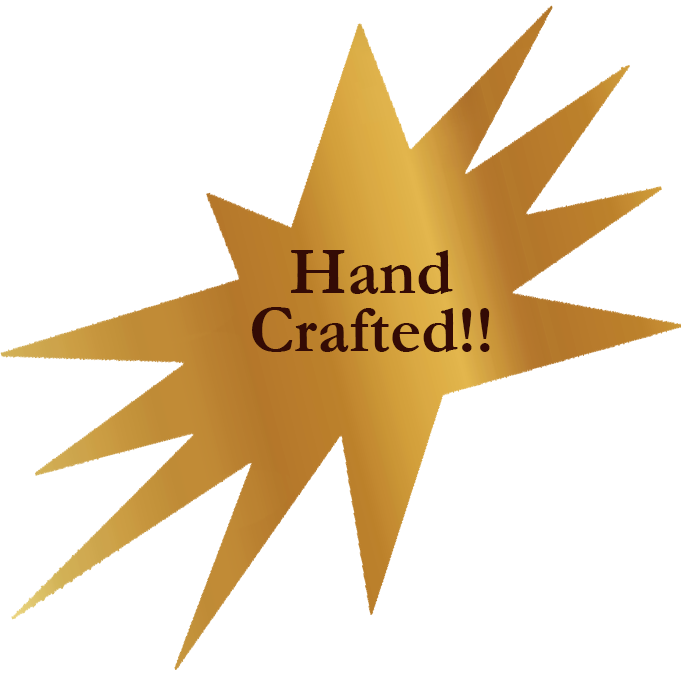 one 44 card deck printed and handmade on premium photo printing paper. one 55 page companion booklet.